Simon started playing cornet aged 8 with the Thoresby Colliery Junior Band, before moving onto euphonium 2 years later. He left the junior band to play with several other colliery bands in the Nottinghamshire area during the following years before returning to the Championship Section Thoresby Colliery Band aged 17. In these formative years he was successful at many solo competitions, locally and further afield, including being awarded the Euphonium Champion title at the British Junior Solo Championships when he was 15. After completing his A levels at Newark Technical College, he studied performance, conducting and arranging at University College Salford, the leading establishment in the country for band musicianship qualifications. He graduated in 1992 as the leading performance specialist, winning the prestigious Harry Mortimer Trophy. Upon his return from Salford, he left the successful BT band whom he had helped to become the first ever National 1st section champions to join the highly acclaimed Grimethorpe Colliery Band. During his four years with Grimethorpe, Simon contributed to numerous CD recordings, radio broadcasts, a TV documentary and performed in concerts at some of the most prestigious venues across the nation as well as some overseas. And with one of the most accomplished bands in the country there were, of course, contest victories and prizes. He also appeared as a percussionist in the smash hit film “Brassed Off”. From 1991 to 1995 Simon toured with the Young Ambassadors Brass Band of Great Britain as the Solo Euphonium player appearing in concerts in Luxembourg, Holland, Belgium, Germany, the USA and Canada. After Grimethorpe, Simon returned to banding in the Midlands for a few years playing with Rhodian Brass and the Thorntons Band before switching back to Yorkshire as he joined the Stocksbridge band, with whom he again won the 1st section National Championships. In 2004, Simon returned “home” to Thoresby Colliery Band where he served for 8 years as Principal Euphonium. 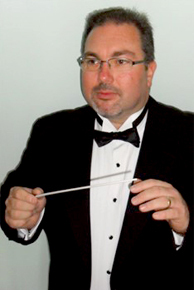 As a conductor, Simon has worked with a wide variety of ensembles including brass quartets, brass bands of all standards, school groups, choirs, pit orchestras and full size symphonic wind bands. In 2010 Simon was appointed as the Musical Director of Derby Concert Band and in May 2014 he also assumed the same position with Ibstock Brick Brass. On his appointment with Ibstock Simon commented that he is “delighted to be working with such a wonderful group of people and a band with so much potential. l look forward to creating some exciting performances in the future”.